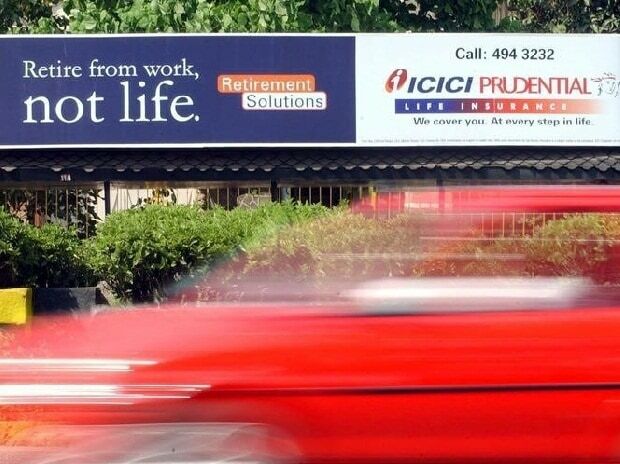 Prudential Corporation Holdings, the joint –venture partner in ICICI Prudential Life Insurance, is planning to sell 3.71 per cent equity or 53.26 million shares in the life insurance firm for a floor price of Rs 300 per share. The sale of equity by the Prudential Corporation Holdings will fetch the company Rs 1,598 crore. The floor price of the offer for sale has been set at a discount of 6.8 per cent to the last closing price of Rs 322 of the private insurer on Monday. This stake sale has been done to reach the minimum threshold of public shareholding of 25 per cent in the first three years of listing by any listed company. As per Securities and Exchange Board of India’s regulations, all listed companies have to achieve Minimum Public Shareholding (MPS) of 25per cent within three years of listing. Till December 2018, ICICI Pru had 21.31 per cent public shareholding. With this stake sale of 3.7 per cent by Prudential Corporation Holdings, ICICI Prudential has now achieved the minimum threshold of 25 per cent public shareholding. The stake sale by Prudential Corporation Holdings comes shortly after the stake sale by Standard Life in HDFC Life for Rs 3,557 crore. “ In our opinion, a sell down of 4.93% would help the company increase its public float to 24.2 per cent which is a step closer to it achieving prescribed by SEBI”, HDFC Life spokesperson had said after the stake sale by Standard Life. Earlier this month, BNP Paribas Cardif also sold 9.2 per cent stake in SBI Life for Rs 4,751 crore in one of the largest insurance deals in the country since 2016, when the first insurance company got listed. For retail investors, the offer for sale will be open for subscription on March 26 and for non-retail investors the offer for sale will be open on March 27. Prudential Corporation Holdings has appointed ICICI Securities as the broker for the sale of its equity stake. ICICI Prudential Life insurance reported a 34.29 per cent decline in its profit after tax (PAT) in the third quarter of FY 19 after the company changed its product mix to focus more on protection and annuity business. Net premium earned by the company, however, increased by 10 per cent in the third quarter of FY 19 from Rs 6,795 crore in Q3 of FY18 to Rs 7483 crore in Q3 of FY19. The value of new business of the insurer grew 18.6 per cent from Rs 767 crore in the first nine months of FY 18 to Rs 910 crore in the same period in FY 19. Asset under management of the life insurer saw an increase of 8.44 per cent from Rs 1.38 trillion in the first nine months of FY18 to 1.49 trillion in the first nine months of FY19.